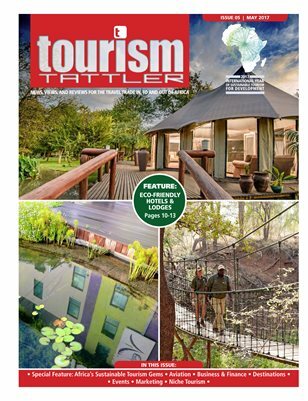 May's front cover features three prime examples of sustainable tourism in Africa. If you haven't already identified these renowned eco-friendly properties, they are Karongwe Portfolio, Hotel Verde and Jaci’s Lodges. Hotel rates come under the spotlight this month with many South African properties having hiked 2018 room rates by 20%, while some have posted increases as high as 45%.